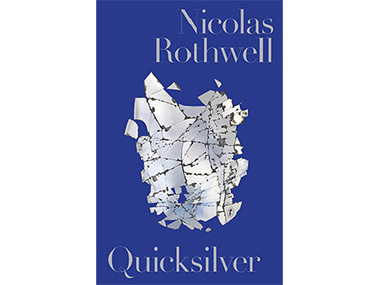 Nicolas Rothwell surprises, delights...and frustrates. The premiere writer about Indigenous culture in the country has written a book (though it's advertised as a collection of essays) which is poised on the brink of being a definitive study of the relationship between Aboriginal art, landscape and mythology, but then fails to draw the conclusions that seem to be the logical elucidation of so many arguments. Perhaps the explanation lies in reviewer Peter Craven's assessment in Rothwell's own newspaper, The Australian, “Rothwell is a writer who can alienate any reader because he can seem so swaddled in the connoisseurship of his own predicament”! In Quicksilver, that connoisseurship takes one form in his personal response to landscapes ranging from the endless Siberian taiga, via the trackless peaks of Switzerland's Engadine to the point where the book starts on a dusty journey through the deserts from Papunya to the Pilbara, that “most majestic stretch of country....the most transformed by human hand”, industrialised beyond Rothwell's (and, surely, Aboriginal) comprehension. Typically, it's an encounter with a perentie lizard on this journey which stimulates the first of Rothwell's wondrous, coruscating digressions into Tolstoy's conversation with an equally idle lizard as reported by Maxim Gorki – who then gave his name to the town where the dissident Soviet scientist Sakharov was exiled, and Sakharov throws up the quotation which starts to reveal the underlying Rothwell project in Quicksilver: “And yet I am unable to imagine the universe and human life without some guiding principle, without a source of spiritual warmth that is non-material and not bound by physical laws”. I believe the word 'quicksilver' only occurs once in the book. It appears during an encounter with Frank Young, the Amata-based Pitjanjtajara elder, who tells Rothwell, “There are things in the canvases people cannot talk about because the sacred Tjukurpa is really deep inside us – it is us”. Significantly, Rothwell has history here – reporting in his articles how Amata's older male artists had decided to reveal less and less in their canvases – Hector Burton, for instance, beginning to paint only trees rather than his legendary Caterpillar Dreaming. 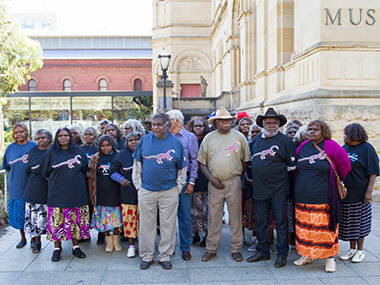 And the writer then went into battle on the old men's behalf in a dispute that went to court to try to close down the SA Museum's important exhibition following the Ngintaka Dreaming songline in art (that perentie again!) to reveal its 800 kilometre geographical extent and something of its meaning to APY people today. Small wonder the episode with Frank Young concludes, “but once the first transgression has been made, once the sacred, that quicksilver, has been put in play, you can never tell where it will go”. So the sacred, linked inextricably to the land – Country in Indigenous terms – is our core. But we get there through clouds of high European culture such as Andrei Tarkovsky's mysterious film, 'Stalker', where a “raddled Estonia” (prefiguring Chernobyl) is featured in order to damn the Soviet military/industrial destruction of Russia's nature; and Solzhenitsyn's hard-earned understanding that “Beauty is the light of truth seen through matter – (which) reveals the order of the world and of ourselves”; via Samuel Beckett's discovery of the power of silence; in Bruce Chatwin 'Songlines', where, almost overnight, he spotted “the sombre splendour of Desert Aboriginal culture, it's depth and scale”; and DH Lawrence's brief, insightful visit to the land of the Kangaroo as what Rothwell identifies as “an incomer”, where he noted, “The strange, as it were invisible beauty of Australia, which is undeniably there, but which seems to lurk just beyond the range of our white vision”. Indeed, outsiders/incomers (like Rothwell himself, arguably, given his peripatetic life) do often see more than the locals. And I'm reminded of a conversation I had once with the UK-based Sidney Nolan about his three series of Burke & Wills paintings set out there in DH Lawrence's “hoary space of bush” - where he admitted the absence of Aboriginal figures but swore he felt them there – both in the bush and in his paintings. Indeed, he slipped one into the third series. Rothwell then arrives at the sacred in Indigenous Australia via the most circuitous of routes – starting at a gravestone in the High Tatras of Slovakia! It records a victim of Frankism, an 18th Century Jewish Messianic sect which believed nihilistically that only by violating a law could that law be accomplished. Jacob Frank's views managed to survive into the 20th Century via writings on the Kabbalah and fitted into the views of Leo Frobenius, the German Imperial ethnographer, who sent an expedition into The Kimberley, where he expected to find evidence of mankind's primaeval past. Reports back by one Helmut Petri were mostly lost in wartime bombing, but a book entitled The Dying World in Northwest Australia survived, and was translated into English at the insistence of another of that region's legendary controversialists, Grahame Walsh. 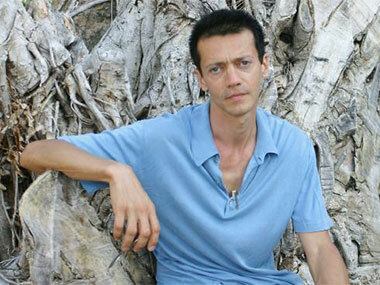 It described Aboriginal society in ruins and a series of extreme cults developing as a consequence. Kurangara was the name of the most insistent, its devotees believing that only the deserts retained their purity and were peopled by Djanba spirits, who might be identified with the White invader. Of course, as the post-War years passed, more and more of the 'pure' Desert tribes-people were shifting north into The Kimberley to escape drought, inter-tribal battles and the pastoral industry. But they continued to paint the deserts and their mythology in places like Warrmun, Fitzroy Crossing and Bidyadanga. And devotees of the cult clung to the belief that when all their ritual cycles were complete (as in that famous Arthur C Clarke story about Tibetan lamas completing their chanting of The Nine Billion Names of God) the non-Indigenous would simply disappear from the face of Australia. In the deserts, the most sacred art emerged at Papunya in 1971, causing much grief for those not involved through the exposure of the secrets of centuries to the ignorant invaders. Generally, this is interpreted as the last throw of the dice by people facing official assimilation, desperate to prove their culture's worth to those wearing a white blindfold. Subsequently, the artists covered up their secrets with dotting. But Rothwell now puts Frankism and Frobenius together and comes up with the challenging theory that the Papunya painters were deliberately profaning their spirituality by exposing it; breaking the law in order to accomplish the law. Sadly, he concludes that this brave challenge has only encouraged an ever-more-intense pursuit of Aboriginal sacred knowledge by outsiders in academia, causing “the sacred power to begin to fade”. But then he can challenge even himself by recalling a night journey with artists John Ward and Jackie Giles, reaching a water-hole in the dark to be greeted by a shooting star. This inspires the old men to sing in an ancient language about the stars, so little considered in contemporary writings about Aboriginal belief systems – other than in Yirrkala, perhaps, thanks to Gulumbu Yunupingu's stellar art. But then Rothwell recalls CP Mountford's infamous book, Nomads of the Australian Desert – banned after legal action by the 'purist' Pitjanjatjara. It contains a substantial chapter on 'The Myths of the Sky', claiming that many desert people could name every star “to at least the fourth magnitude, and most would have myths associated with them”. Perhaps he told a myth too many? That was surely preferable to the earliest writers about the deserts – Leichardt, Stuart and Eyre, the explorers who gave their names to so many intruding roads - who wanted an empty land they could pioneer and possess, and therefore failed to report on a living presence in the remotest regions. Now, Rothwell discerns an effort “to write the Indigenous back into the landscape” by authors such as Eric Rolls, Les Murray, Germaine Greer (in White Beech) and Mark McKenna with the well-named 'Looking for Blackfellas Point' about the Eden/Monaro. Rothwell himself reports, “Whether in the back country of the De Grey River or the mulga plains of western Queensland, I feel something remote, yet watchful; a distant presence”. Nolan again? And so near, yet so far! At least as far as my hopes for Quicksilver were concerned. For the final essay takes us back to Europe, to Rothwell's youth in Switzerland and his discovery of Dubuffet's museum in Lausanne dedicated to Outsider art – Art Brut as the French call it. One definition of this work – often the outpouring of people in institutions – is that it's “devoid of the marks of technique or professional skill”. This, of course, is how I often distinguish the fresh-faced wonders of remote/tribal Aboriginal art from its more predictable, art-school-trained obverse created down south by urban Aboriginal artists. But Rothwell resists this association, despite his revelation that Outsider art had taught him that “meaning is not always to be fully or successfully translated or decoded, that symbols gain from a degree of elusiveness”. Are we not back to his so-cogent thoughts on pursuing or imposing meaning in Aboriginal art here? Unfortunately not. Far from making this connection, Rothwell bowls a googly right round us by suggesting that the Outsiders' existence beyond the common culture may be offering a gap or “imperfection (where we may) build a religion to give the flaws in our world a meaning....a new creation”. Whew! And then, distracted, we return terminally to Europe and Hans Prinzhorn, the Heidelberg psychiatrist who analysed Art Brut and knew nothing of Aboriginal art. He justified madmen making mad art in the mad world between the two World Wars – but also identified that German Expressionism was a 'sane' response to such madness, where Hitler saw only degeneracy. Can one draw a conclusion that Rothwell sees Aboriginal art as a response to today's mad world? Certainly, the author seems to have had the jump on the rest of us when he wrote (about literature rather than politics), “the strength of falsification is rising in the world”! Quicksilver is published by Text Books.